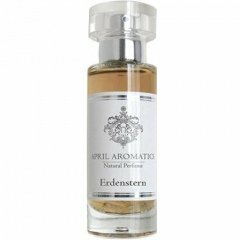 Erdenstern is a popular perfume by April Aromatics for women and men and was released in 2014. The scent is earthy-sweet. It is still in production. If Middle Earth were a real place, this might be the smell of elves hanging out there while smoking sweet tobacco. This is a beautifully complex, long-lasting fragrance that is amazing as it is all-natural. It smells very earthy and somehow has a mossiness about it, although I don't see moss listed as a note anywhere. But it smells like fertile earth. There is cocoa here, and I do smell it, but it's not a chocolate-y, gourmand fragrance in any way. Gorgeous stuff! I adore this house. Sillage is great, and so is longevity, I give them both 9/10. Write the first Review for Erdenstern!